Lostant (population 486) is located on IL Route 251, approximately 18 miles south of LaSalle in southwestern LaSalle County. The Conrail Railroad tracks make their way through town. The Little Sandy Creek runs by the west side of town, as does Interstate 39. The village is named after the Countess of Lostant (actual name L'Ostende, eventually evolved to Lostant), who visited the community in 1861. Lostant has been about 500 residents since 1878. Unlike the "Great Chicago Fire," Lostant residents did not get all excited about their fire in 1889, caused by a spark from a passing train. The "Pretty Big Lostant Fire" burned many of the downtown businesses and homes, causing about $50,000 in damage. But the Lostant residents didn't feel the need to alert the world like their neighbors to the far northeast. They simply rebuilt and moved on...gotta love small town folks. Lostant residents have a great history of education in their town. High school education dates back to 1893 when a freshmen year was added to the grade school. A sophomore class was added in 1899, junior year in 1904, and finally a senior year in 1914. The first graduating class became the class of 1915. 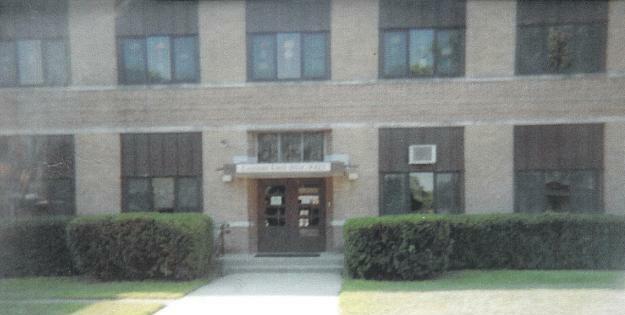 The community supported its own high school for several decades. In the late 1980's-early 1990's, there was talk of deactivating the high school. The deactivation eventually took place in 1993. The Lostant people kept their grade school for their town, providing education for grades K-8. The high-school aged students were given their choice of attending any one of four districts in the area (Fieldcrest, Putnam County, Streator, or LaSalle-Peru). 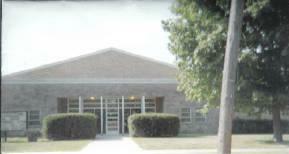 Lostant High School (current building built in 1936) still stands and is used as Lostant Elementary for grades K-8. Please e-mail us if you have any more information on Lostant High School. The Lostant Rams have a great history of success for both boys and girls sports. The boys won IHSA hardware in basketball and track while the girls faired quite well in basketball and softball. The girls, however, faired extremely well in volleyball. The Rams competed in the Tri-County Confetrence which was formed in 1927. Other schools in the conference included Putnam, Hopkins, Swaney, Magnolia, Henry, Tonica, and Varna. The best seasons of the Lostant Rams and Lady Rams according to the IHSA web site (www.IHSA.org) are listed below. The boys track & field program had great success in the 1920s. Two brothers, Raymond and Cletus Linder, each brought home two medals from the IHSA State Track Meet in the one-class system. Both brothers accomplished this in the Shot Put. Raymond's efforts came in 1926 (2nd!) and 1927 (5th). His brother Cletus followed this in 1928 (2nd! ), and 1929 (State Champ!). Cletus was joined in 1928 by Rolland Lippincott, who placed 4th in the 880 yard run. Their points earned placed Lostant 9th in the Illinois State Track Meet under the old one-class system. One other individual won IHSA hardware. Max Chasteen placed 4th in the high jump in 1944. The complete results are listed below. 1929 Cletus Linder Shot Put STATE CHAMPION!! *A nephew of Cletus and Raymond Linder, Edward Linder, advises us that Raymond Linder went on to play football for the University of Colorado upon his graduation from Lostant High in 1927. The Lostant Lady Rams had an outstanding string of success in their volleyball program. Led by Coach Mary Nicholson, the Lady Rams won an incredible seven straight Regional Titles in the 1980's, including at least four seasons of more than 20 wins. Coach Nicholson had a hand in the team's success from its inception, guiding the Lady Ram netters beginning with the first team in 1974. The records of the many great teams and Regional champs of LHS are listed below. The Lostant Rams boys' basketball teams also won IHSA hardware. This includes a Regional Championship against the much larger schools of the area in 1944. Coaches names and team records are not currently available. The teams won Tri-County Conference tournaments in 1927-28-44-91. 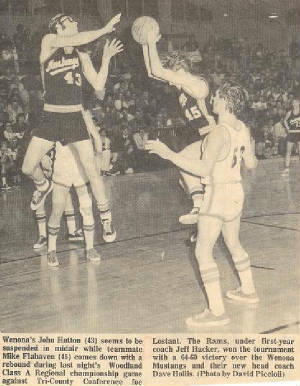 The school enrollment during the 1973-74 Regional Championship run was 84 students....Excellent Job Lostant Rams!! Cons. Champs Chatsworth Holiday Tour. Coach Hacker Named LaSalle-Peru Area "Coach of the Year"
**Coach Roemer also had very successful seasons at other small schools listed on this site--Sheldon HS and Griggsville HS. 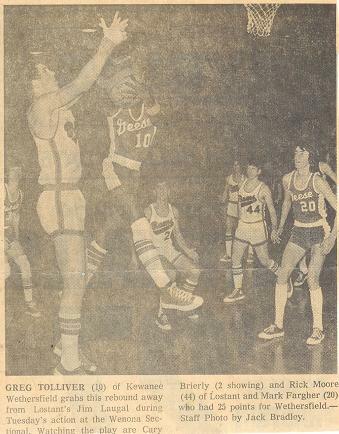 One of the best players to grace the hardwood of Lostant High School was John Freeman. His 50 points scored in a game against Cornell on February 24, 1987 is the school record. Freeman later went on to play at nearby Illinois Valley Community College in Oglesby and helped lead the school to a third place finish at the National Junior College Athletic Association's national finals in 1989. The Lady Rams won a Regional title, too. The team's record and name of the coach is not available. Must have been a talented bunch of ladies in the mid-1980s at Lostant High. They also picked up a Regional championship in Softball. The coach's name and team's record are not available.